Apple made a small but important update to the official App Store Review Guidelines on Tuesday, banning developers from creating Apple Watch apps meant mostly to tell the time. The new rule, under the "User interface" section, states that "Watch Apps whose primary function is telling time will be rejected." Apple has actually been rejecting Watch apps under those terms for some time, but until today hadn't codified the policy. 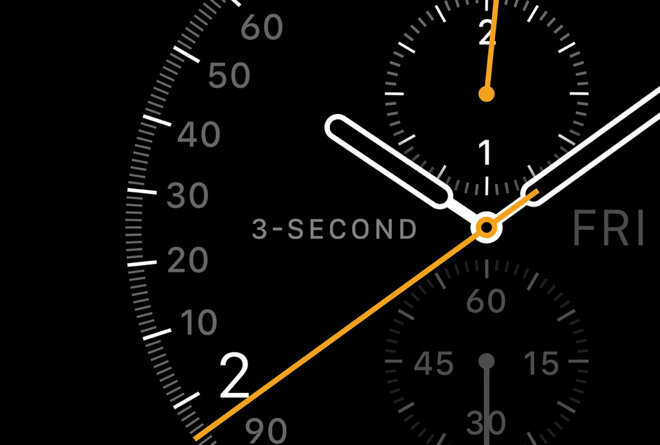 The Apple Watch includes nine different faces by default —each of which can be customized with different colors and/or complications —but does not support third-party ones. Building them in app form might have been a potential workaround, although native faces enjoy more interface conveniences. More faces could be a possibility when Apple releases a Watch SDK with native app support later this year. Apple has not announced any plans for third-party faces, however. In the meantime the company could release more faces of its own via software updates. Two faces shown last September, Timelapse and Photo, are absent from the shipping version of Watch OS, but could be restored later or even joined by additional options.